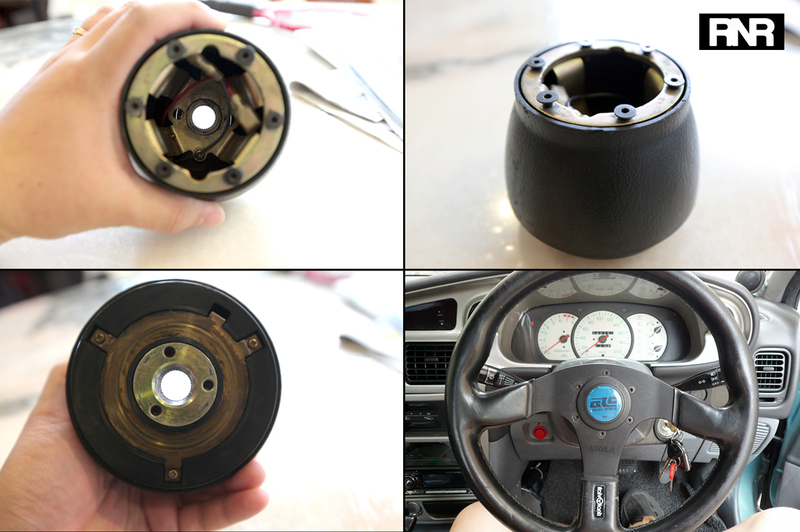 A simple DIY steering change, or was it? Today we're going to deviate from our normal fare and give you something to think about. This may or may not interest you, but please do comment in the comments section below to give your feedback. Any feedback is good feedback and I'm a robot, therefore I have no feelings - so don't worry about hurting them. I only ask that you make it simple to understand and straight forward. 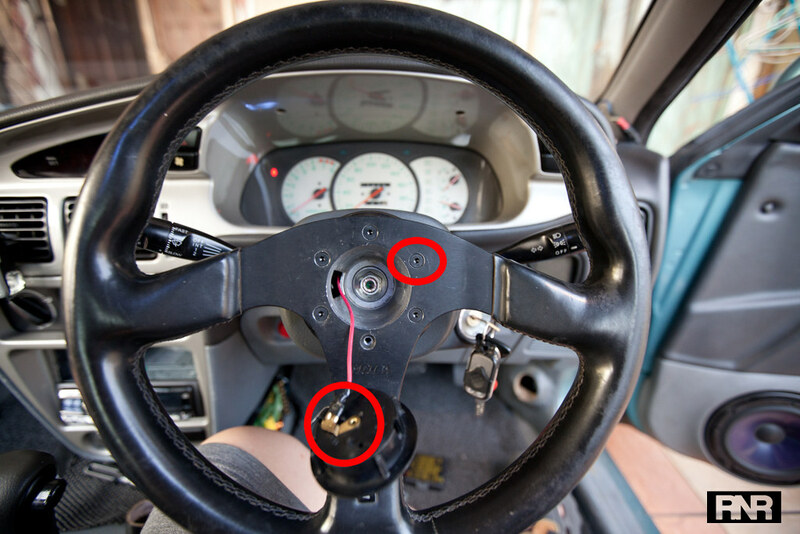 As a starter for our "Does it work" series, I'm going to explore the horror stories of the aftermarket steering wheels where the bosskit or the steering wheel supposedly snaps/breaks! It's not common to hear about these sort of breakages but apparently they happen often and I was curious, and it was cheap. Here's the scenario : guy buys his first car. He decides to pimp his ride and he got himself a RM90 (approximately USD25) aftermarket steering wheel and a RM50 (approximately USD20) steering wheel adaptor/bosskit. All's fine and dandy! Or is it? Let's take this opportunity to learn how to change a steering wheel. 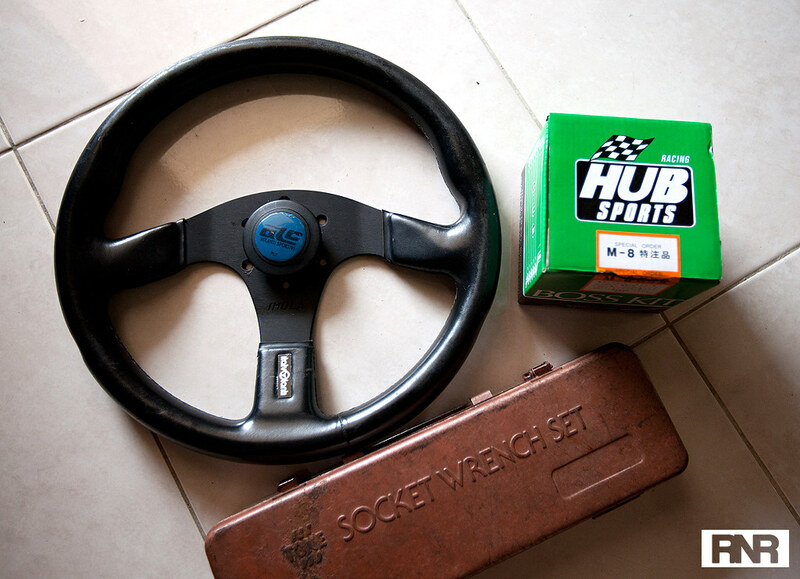 Items needed : A cheap used 'original' Italvolanti RM150 steering wheel (I refuse to buy those sub-par immitation steering wheels that I could physically twist out of shape using my bare hands), a brand new but cheap RM25 bosskit without the airbag delete option (my car doesn't have an airbag. If yours does, buy the bosskit that has the airbag delete kit) and a trusty ratchet tool box. In MightCarMods, they recommended to jack up the car to do this install. It's not really necessary. Reposition your car and let the car settle the steering neutral straight. 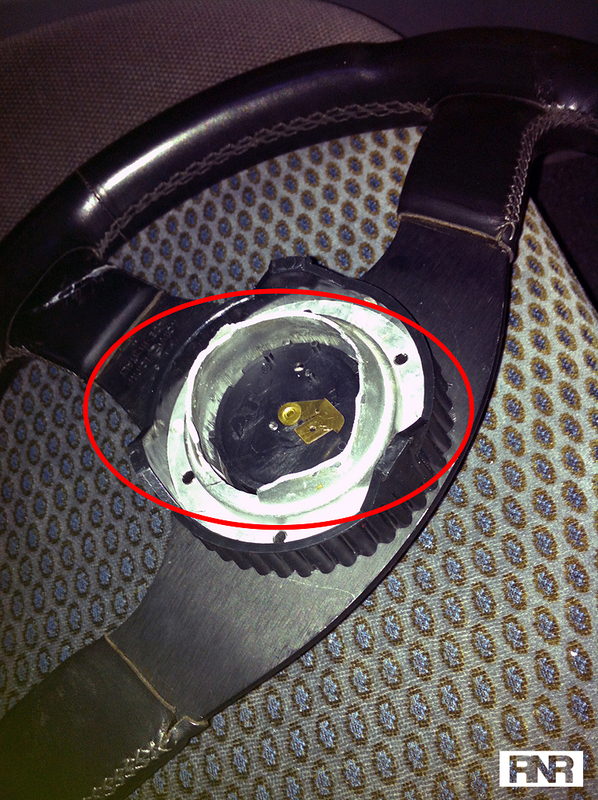 Remove the screw that locks the face plate of your stock steering wheel. This particular install was for a Proton Wira, I'm sure instructions for other car makes aren't too far off. Take out the keys (if you have any) and turn the steering to the left (or right) to lock it in place and gently remove the face plate. 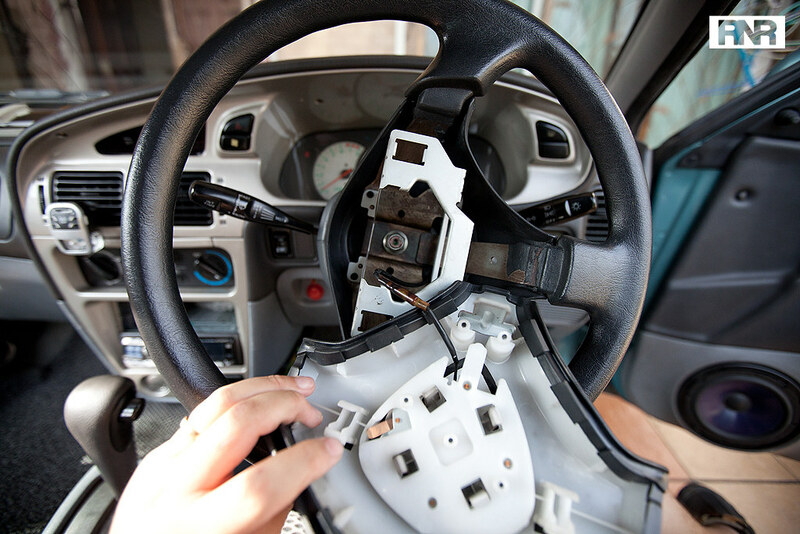 Take particular care not to yank out the wires in the steering and take note of which wires connect to what component. In my case I only had wires connecting to the horn. Disconnect the wires and remove the face plate. 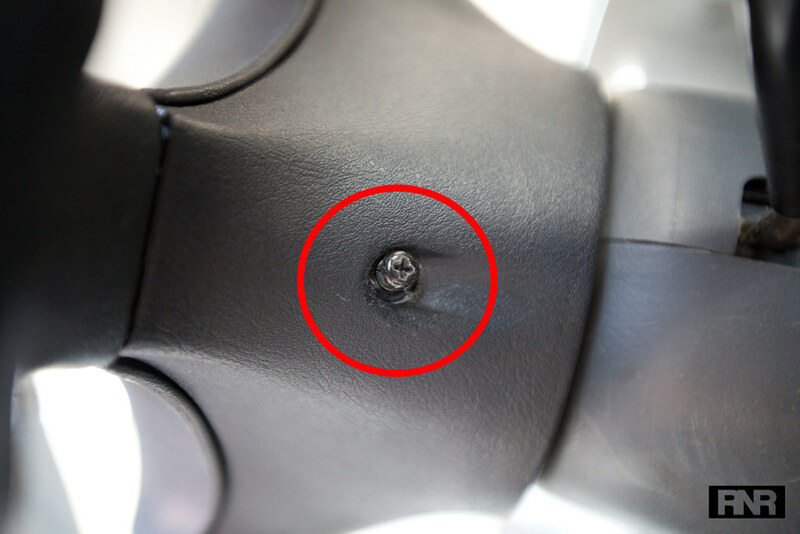 You'll need a box-socket tool to remove the center nut locking the steering down to the steering column. If you had turned the steering left or right earlier, then it would be locked in place giving you the leverage to unscrew the nut. 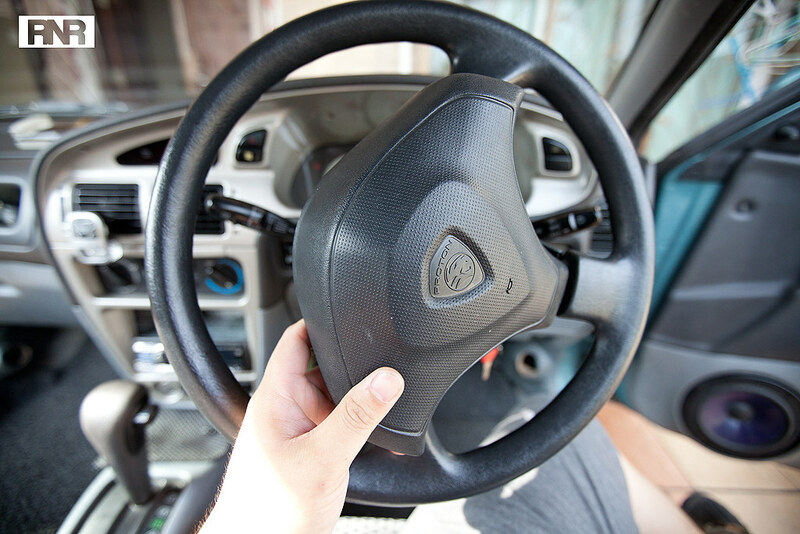 Once the nut is removed, knock (relatively hard) the steering handles left-right a few times to loosen it's position and then just pull the steering wheel forward towards you to remove the whole steering. For those who can't knock their steering wheel loose, you'll need to utilize a steering wheel removal tool. Or if you're handy with nuts, bolts and DIY, you can fabricate your own removal tool, there's plenty of simple guides online which show you how to make one. 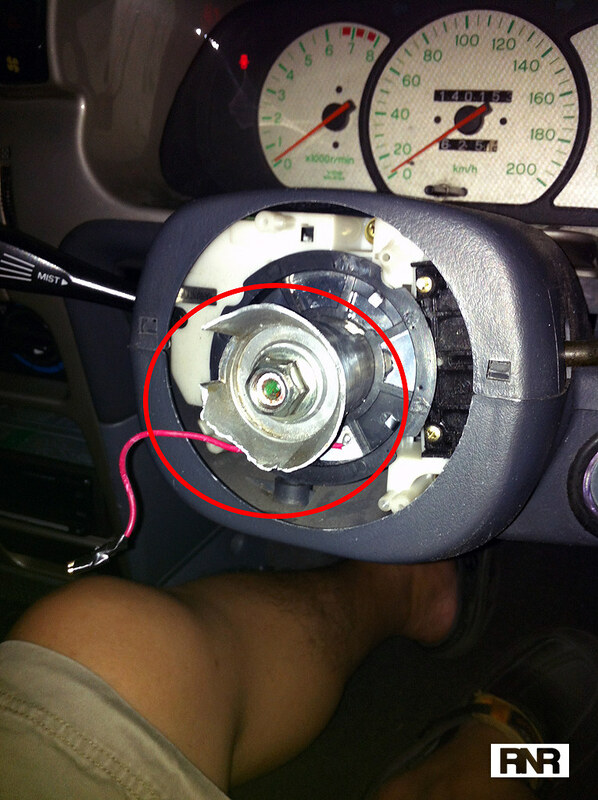 Once the steering wheel is removed, take note which of the steering columns pinion gears 'teeth' is pointing "upwards". 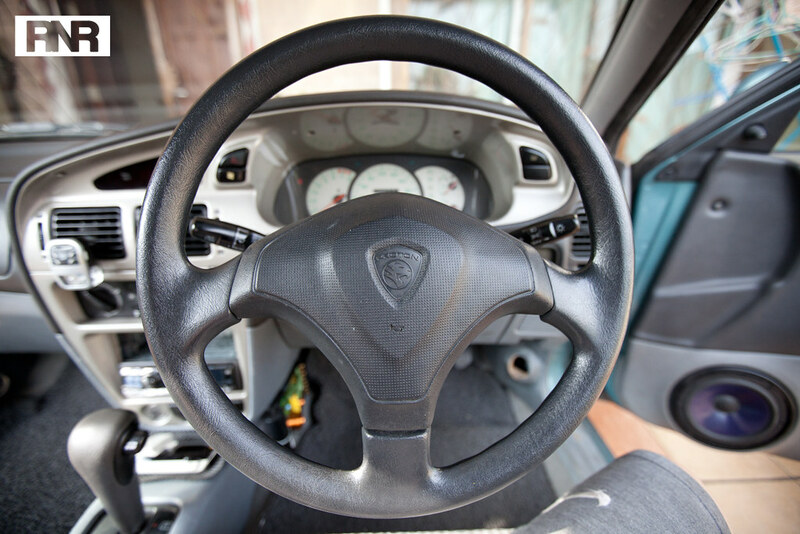 This will help you identify which way the new steering wheel should be mounted to point the wheel "straight". 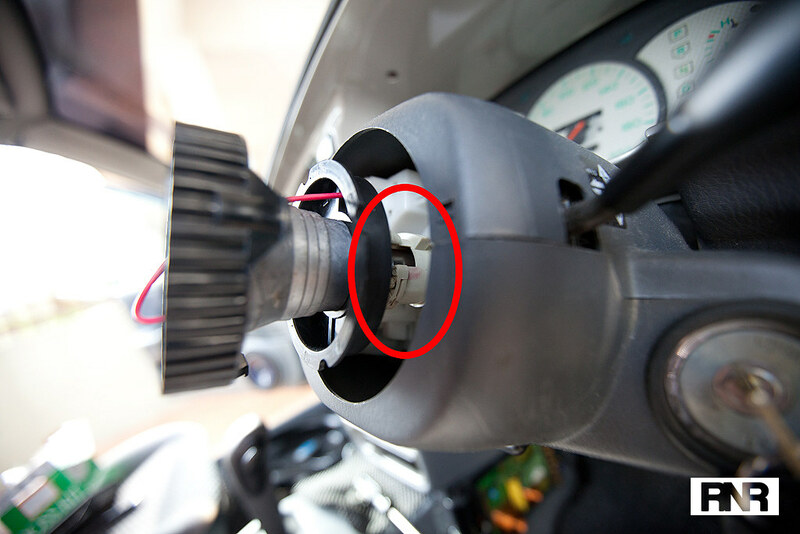 Install the boss kit with the indicator facing upwards according to where "up" is on the steering column pinion gear (if there's no indicator on the kit then it doesn't matter). Align the rear signal light deactivator properly. There are 3 notches, 2 big and one small. The small one should point downwards or upwards depending on your car make. Mine was pointing downwards. This is important otherwise the signal lever will not disengage automatically after turning the wheel. Install the alan-key bolts into the bosskit to hold the steering wheel in place. Connect the horn socket and lock the center nut. Slot in the horn and give it a beep to test and you're done! Out of the blue while driving casually down the street in the middle of a turn the boss kit snapped off! I wasn't driving hard and it was a very slow gradual turn. I was shocked beyond belief to see it snap off like that! From the feel of the alloy, it was made of pretty soft aluminium or some composite alloy. 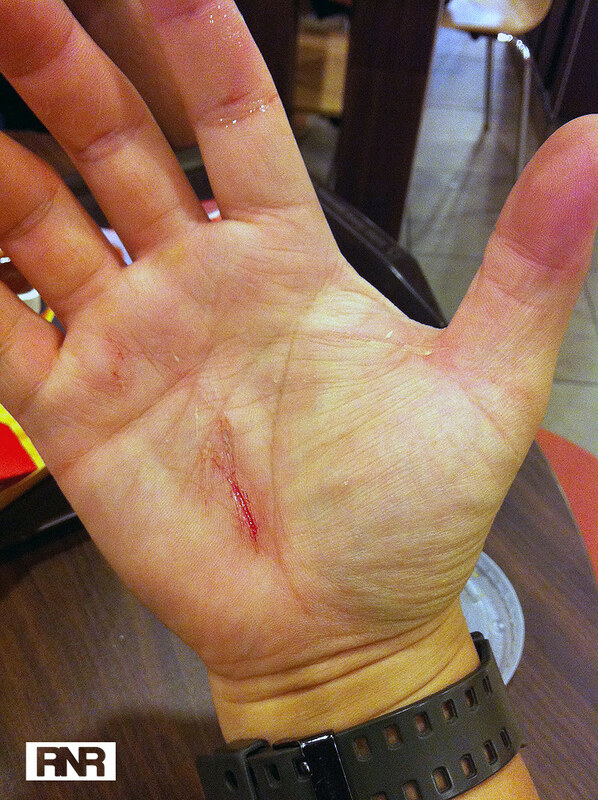 The damn crappy bosskit cut my hand pretty badly too when I tried to remove it. Ended up having the car towed back which thankfully was about 1km away. In conclusion : Yes, it's pretty easy to install a steering wheel and yes, it's also possible to have a boss kit snap off unexpectedly. So if you use a cheap alloy bosskit, don't get overzealous with it. Hairline cracks from aggressive driving, poor design or poor choice of material might cause it to break. 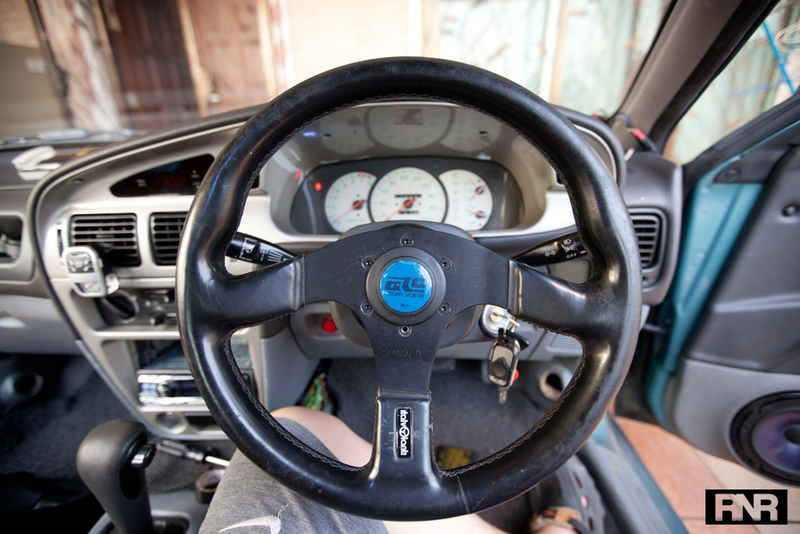 If you're going to get an aftermarket steering wheel, get one that comes with its own steering adaptor/bosskit preferably made of steel like the one I opted for (see above). Or pay for a good quality bosskit from a reputable brand. You don't want your steering wheel breaking off half way in a corner!